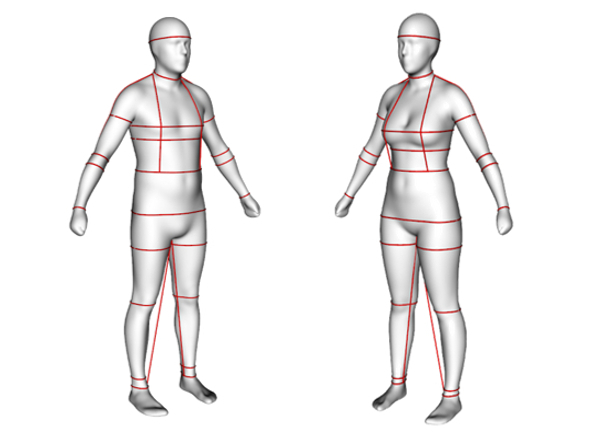 A set of body measurements, achieving an accurate and realistic representation of the body shape. 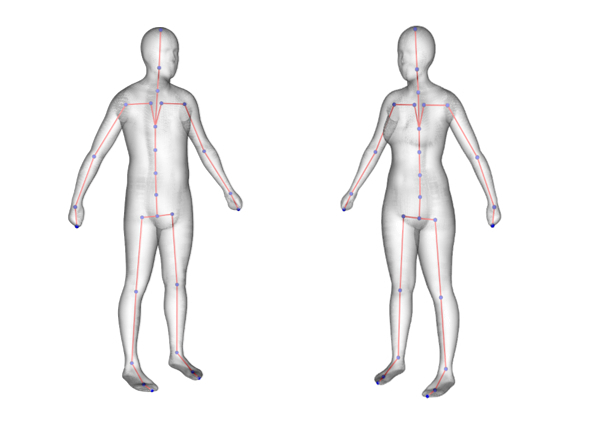 You can start with a basic user data such as gender, weight, age and height or include additional client’s measurements to improve the accuracy of the 3D Body model. 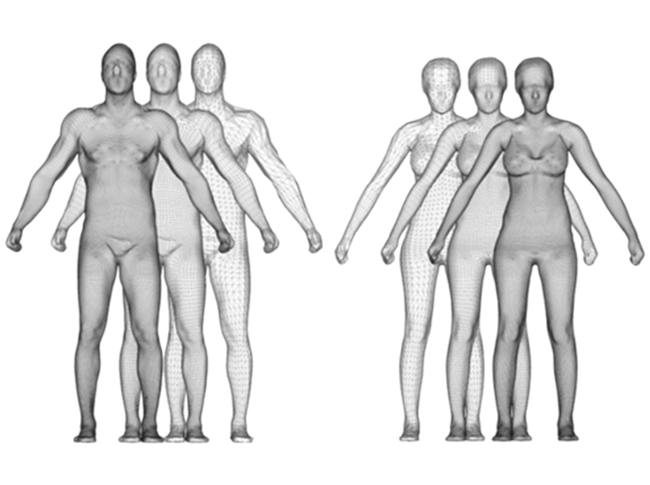 Two photographs obtained with a Smartphone Application (frontal and lateral) are enough to capture the body shape and generate a 3D body reconstruction. Raw 3D scan data, obtaining a single closed surface eliminating noise and redundancies, with the automated reconstruction of missing areas. A set of APIs allows the easy and complete integration of our algorithms to create an accurate and realistic 3D avatar of the body into your platform or business. Accurate and automated measurement of linear and circumferential dimensions as characteristic curves on the avatar for applications such as fashion, product design or sizing recommendation. We provide an extensive list of digital measurements from avatars with an accurate and automatic process. 3D models come with a skeleton being possible to change poses or animate with natural motion behavior, which can be used to integrate with different animation pipelines. It allows posture harmonisation, recalculation of diverse postures or movement generation from kinematics data.